I love WorkFlowy. Dump your brain into this versatile web-app. Tame it with intuitive and flexible outlines. Tag to connect the disconnected. Zoom to focus. Power in simplicity. What’s not to love? While WorkFlowy’s standard tag/text search is great for showing context and relationships, there are times you don’t want the noise of an outline. You just need a simple, flat list. FlatFlowy is a bookmarklet that hides the “breadcrumb” header, removes indentation, hides parents, and (optionally) hides notes. The result is a simple, flat, distraction-free list when searching for tags or text in WorkFlowy. It works as a toggle; click once for flat lists, and again to return to the standard view. FlatFlowy is compatible with most browsers, even mobile ones. There are two versions: Show Notes and Hide Notes. Which one you choose will depend on how you structure things in WorkFlowy. You can install both to test (or use). As of version 1.7, you can run both simultaneously; no page reload is required. I use the Show Notes version, and here’s why: When a search yields a ton of matches, FlatFlowy can dramatically reduce the number of items to scan. You can easily toggle to view context. The Hide Notes version will omit any matches in notes, so you may not see complete search results in flat view. Big Hat Tip To: the fabulous Erica Heinz for the original CSS and screenshot. Thanks Erica! Flat mode takes effect only while searching for tags or text. You can open two WorkFlowy tabs and keep one flat, one standard. A page refresh (F5) always clears FlatFlowy’s custom stylesheet. FlatFlowy doesn’t work when viewing shared content via a shared link. Important! Don’t move or multi-edit items while viewing a flat list. Since some content is hidden, you could get unexpected results. Launch FlatFlowy with the keyboard in Chrome with this tip. In the Show Notes version, a match in notes will not show a bullet, making clicking on a nonexistent bullet, uh, difficult. Click on the note text and press Alt+Right to zoom from flat mode. FlatFlowy doesn’t work with WorkFlowy’s special search operators. Drag to the bookmarks bar. 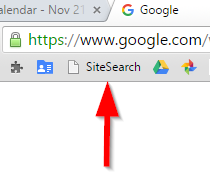 Make sure your bookmarks bar is showing. Open FlatFlowy’s desktop installation page. Bookmark this page, and save it to your favorites folder. Select all the code in one of the boxes below and copy it to the clipboard. From any website or Workflowy page. Select text or enter it. Simple. Surprisingly useful. 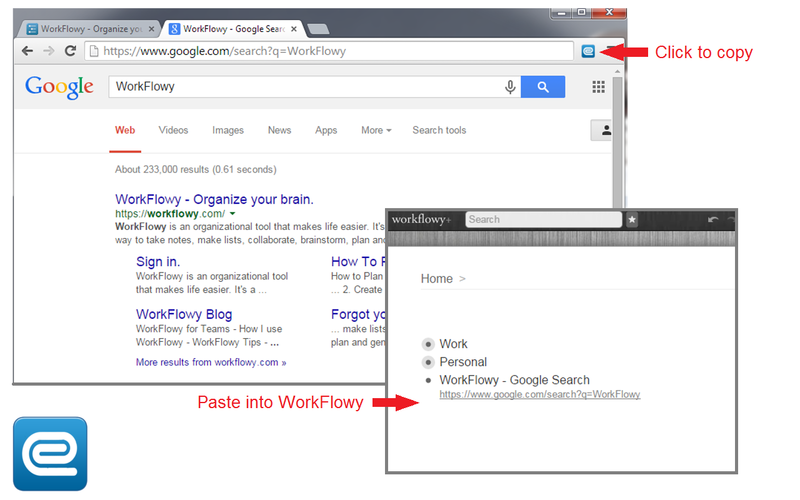 WorkFlowy’s excellent search feature confines search to the current bullet and below. When you are zoomed on your “Work” node, you only search (or filter) on Work, and in most cases that is a good thing. But what if you are zoomed multiple levels deep and need to search all of WorkFlowy for a tag or phrase? 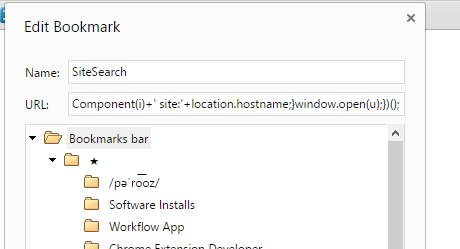 Maybe you’re browsing a website, and need to search WorkFlowy? 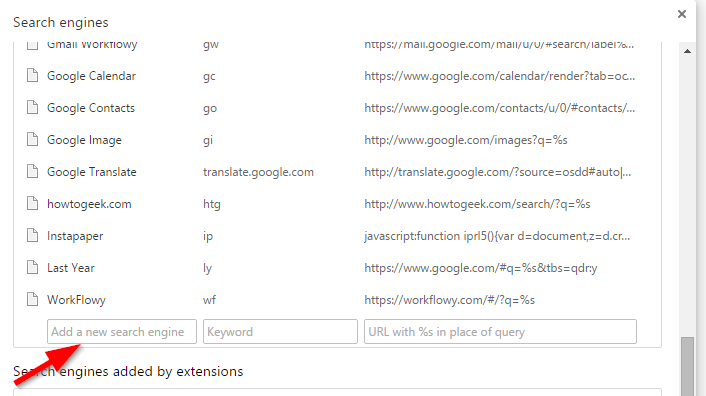 A Google Chrome Extension that makes searching WorkFlowy a snap. WorkFindy always searches ‘globally’ from your WorkFlowy home page. Select text and WorkFindy searches for your selection. 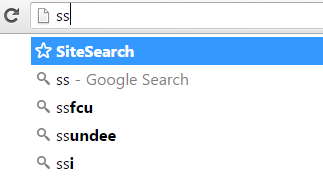 With no text selected, enter search terms into a prompt. Inside WorkFlowy: results appear instantly in the same tab. Outside WorkFlowy: results open in a new WorkFlowy tab. 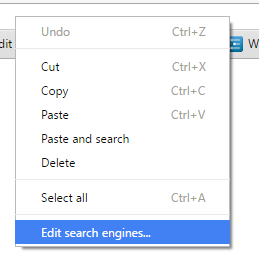 Assign a keyboard shortcut at the bottom of the Chrome Extensions page. Do this! It really helps. I use ‘Alt+W’, and never click the icon. Get WorkFindy in the Chrome Web Store. View the WorkFindy bookmarklet code. WorkFindy makes a great WorkFlowy launcher. To launch your home page: activate WorkFindy with no selection, immediately press Enter or click OK.
Or simply enter search terms to get somewhere in WorkFlowy faster. Convert a “child” search into a global search: Select the search box text and activate WorkFindy. Slow computer and/or huge outline? Tired of waiting for search results with each key press? Use WorkFindy instead for instant searching when you say so.